This work was funded by the Joint Center for Structural Genomics (JCSG) through the NIH Protein Structure Initiative (PSI) Grant Number U54 GM094586 from the National Institute of General Medical Sciences (www.nigms.nih.gov). BM received support from the Skaggs Institute of Chemical Biology. Kurt Wüthrich is the Cecil H. and Ida M. Green Professor of Structural Biology at TSRI. 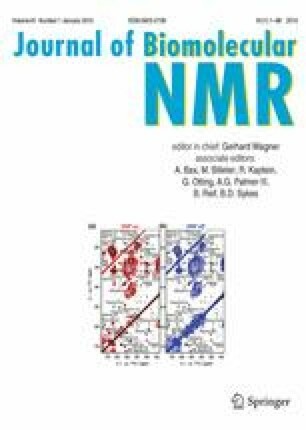 BM thanks Dr. Reto Horst for assistance in optimizing the setup of NMR experiments.